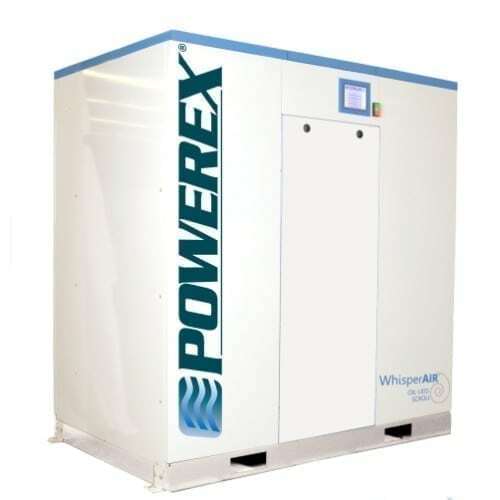 Our laboratory air compressors systems feature our proven oil-less scroll technology in a sound enclosure cabinet to minimize noise and system footprint. These systems are great for applications in the research field. Main bearings are housed in durable cast iron instead of aluminum which prevents fretting and premature failure of the bearing race. This pump can be operated at 100% duty with confidence. The patented bearing re-grease feature has been improved to allow maintenance from the front side of the pump, cutting service time in half. The patented tip seal design yields the highest flow rates and longevity of any other dry scroll compressor. The improved efficiency and cooling results in lower operating temperatures. Industry first 10hp scroll pump improves system efficiency by producing more output using fewer pumps.